I’ve always loved the Left 4 Dead series and have had a blast with it and friends. The added dimension of play with the second one where players could control enemy zombies was something that had me so invested. 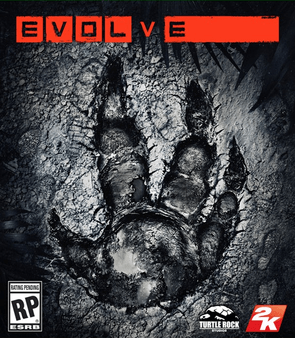 Now, with the original developer of the first game, I am so excited to see what they bring to the table with this new title. I love the visual style, I really like how the monsters play, and frankly I am most excited about the alien sidekick dog you can use as one character. I’m a sucker for the small things. Sure, requiring the Kinect was a much-maligned aspect of the XBox One release. But let’s not dismiss voice-commanded games quite yet: the 2013 Kickstarter campaign for There Came an Echo proves that there’s still a market for alternative inputs. This squad-based strategy game features voice input, customizable commands, and an all-star nerd voice cast with Wil Wheaton and Ashly Burch front and center. I was thrilled to be able to yell squad commands in Mass Effect 3, and I hope Iridium Studios can give me the streamlined video game yelling experience that it’s promised. Given that Jo and Jules have written up the two games I am looking forward to playing, I will focus on another purchase I will make in February: the new Kirby. My youngest brother is five years old and just got a Wii U for the holidays. That means his much older sister can now spoil him with wonderful gaming additions. 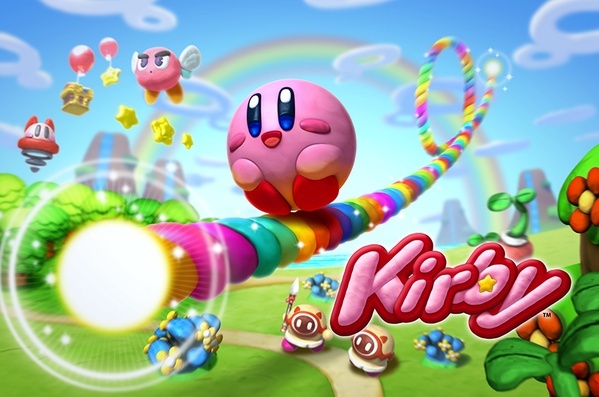 Kirby games have always been a lot of fun, and none of them are particularly difficult. The games are known for their goofy humor, bright backdrops, and the adorable main character. This will be just one more step in my indoctrination of my brother into the gaming world. Coming out this month is Nathan D. Paoletta’s newest tabletop offering, World Wide Wrestling. This is a storytelling gamethat allows you to create your very own wrestler in the grand tradition of WWE, and follow them through the epic drama of pro wrestling. The game gives needed info for those not familiar with all the tropes of wrestling, as well as rules to support lifelong fans. All you need is 2d6, a few friends, and a willingness to rumble! Buy it at http://ndpdesign.com/wwwrpg/. Rent punk came about as a game jam, hosted by Avery McDonaldo and Katrina, where people could submit games focused on what life is like when you may not know where your next paycheck is coming from. Game designers responded with some amazing entries, such as a Fate Accelerated hack that explores trying to make rent in an urban cyberpunk setting, a storygame that uses cards to determine life as a financially challenged teenager, or an improv game that’s all about people living on the fringe of society and the bonds that hold them together. All of the games are free at http://rentpunk.tumblr.com/. 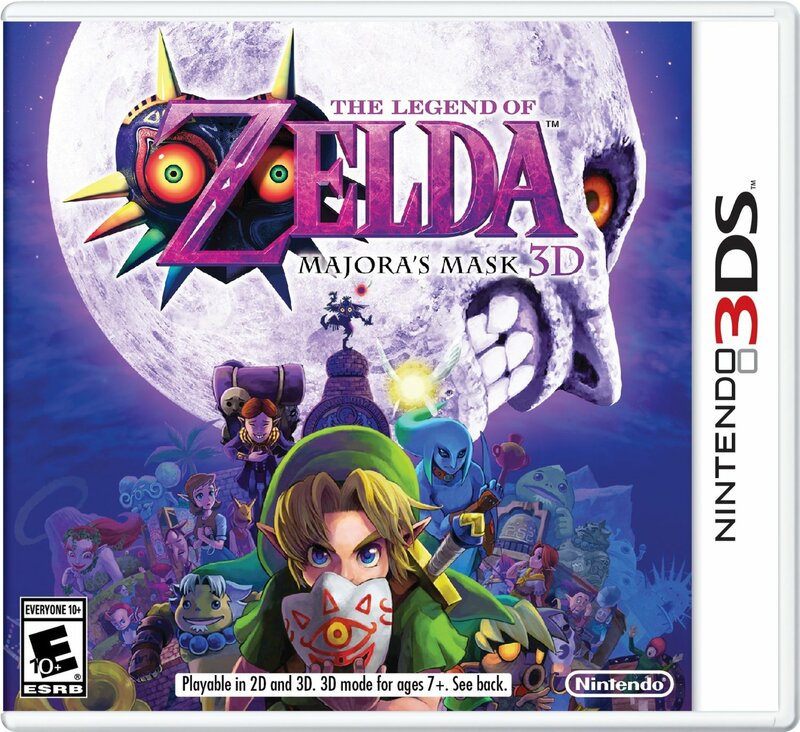 I secretly define my life as pre and post Legend of Zelda: Ocarina of Time, and Majora’s Mask was no less impactful. It’s wonderful to see such anticipation for the game today, fifteen years after it’s original release on the Nintendo 64. To those of you who have not played Majora’s Mask yet, I envy you. It is a delightfully weird escape into the world of Termina, its denizens and its apocalyptic moon that leers above you, counting down the 72 hours until the world is destroyed and Link, our protagonist, fails to return to Hyrule in time. The Groundhog’s Day premise encourages you to explore all nooks and crannies of the world, and the use of masks to morph Link into his Deku, Zora and Goron versions keeps the gameplay appropriately weird and wonderful. Fans of the franchise will note that this game marks the first appearance of Tingle, one of the weirder characters to sneak into the Zelda canon. It begs the question then, what is the advantage of reformatting a game optimized for a television console into a handheld format, aside from a blatant Nintendo cashgrab? 3D experience aside, well, none really–if you have a functioning Nintendo 64 and the original Majora’s Mask cartridge that is. I’m happy that the game is made available again, in a new format, for new generations to get lost in. Oh woman, Kirby was my first game on the Gameboy (well, after the tetris that came with it) – the 90s one before they made them in colors other than grey. I am SUPER excited to play it with him. I feel like I get a second shot at a video games childhood. Is Majora’s Mask Colleen’s? Soooooooooooo good.